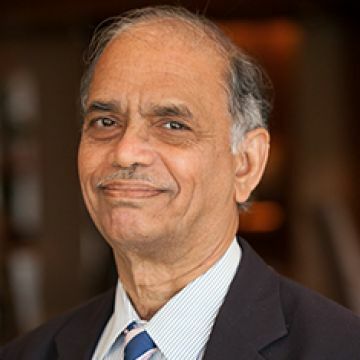 Nayan Chanda is the founding editor-in-chief of YaleGlobal Online published since 2002. Before coming to Yale University in 2001 he was, for nearly thirty years, with the Hong Kong-based magazine the Far Eastern Economic Review as its reporter, diplomatic correspondent and editor. In 1989-90 Chanda was a Senior Fellow at the Carnegie Endowment for International Peace in Washington. From 1990-1992 Chanda was editor of the Asian Wall Street Journal Weekly, published from New York. He is the author of Bound Together: How Traders, Preachers, Adventurers and Warriors Shaped Globalization and Brother Enemy: the War After the War . He is a regular columnist for the Times of India, BusinessWorld, the Straits Times and the World Post. Nayan Chanda is the winner of the 2005 Shorenstein Award for Journalism.